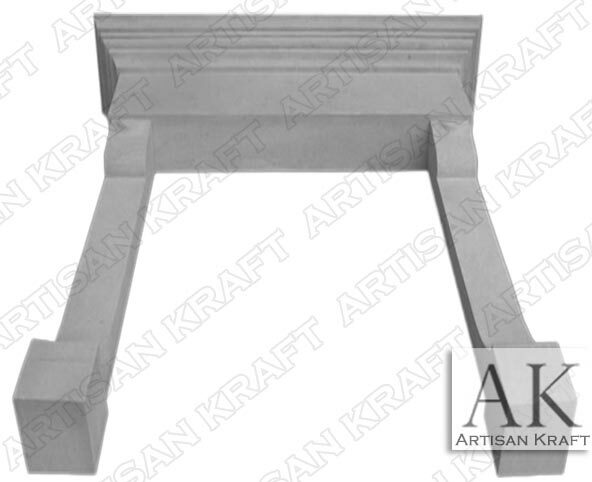 The Belvedere Limestone Fireplace Surround is a traditional mantel. It has a large mantel shelf with that is designed with two sections. The crown rests on the plinth shelf. Two legs support the crown and plinth. This can be made from limestone or sandstone. Marble is another great choice. We also offer this surround facing made from cast stone. The Belvedere can be made to your dimensions. Call us or email us to custom order your own. Here is a link to a similar installed fireplace.